Ever since Bernanke opened his mouth about potentially easing back (not stopping) on the amount of Quantitative Easing he is undertaking each month we've seen the price of many asset classes fall. This has included the FTSE100. Am I worried about it? 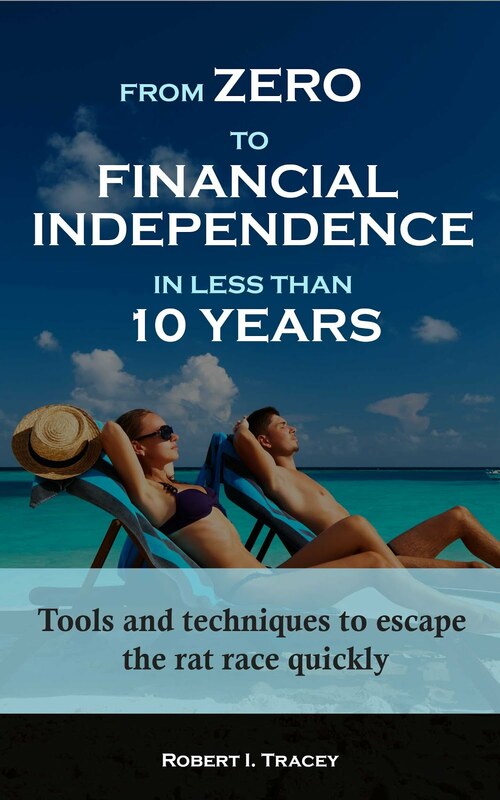 Well as a person who is investing large amounts every month into the markets the answer is no. I hear you ask why. Well if I use the FTSE100 as an example I’ll show today that both company earnings and dividends are rising. Therefore a falling price combined with rising earnings and dividends simply means a higher dividend yield and earnings yield. That means that I'm simply buying the market at better value. Let’s now run the numbers. The last time we looked at this dataset was on the 30 April 2013. In early morning trade today the FTSE 100 was priced at 6,160. That is a fall of 4.5% when compared with the 01 May 2013 Price of 6,451. It’s still 17.1% above the 01 June 2012 Price of 5,260. How this pricing compares with history can be seen in the chart below. 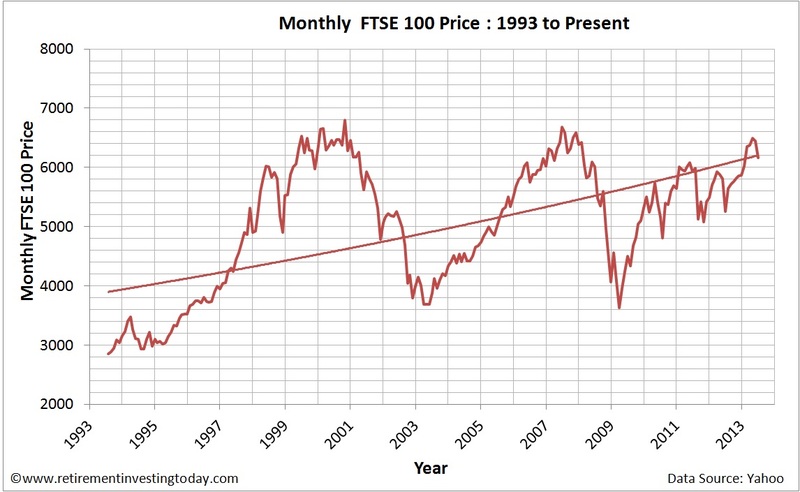 Looking at the chart this way reveals the FTSE 100 in a very different light. That light shows that the compound annual growth rate (CAGR) in today’s £’s has only been 1.7%. Correct it by the Retail Prices Index (RPI) and that falls to 1.0%. As Reported Nominal Annual Earnings are currently 504, up from 481 on the 01 May 2013. They are down 10.4% on last year and down 19.8% on October 2011’s peak of 628. Or course this looks better than it really is as inflation flatters the result. I therefore plot a chart below, again on a logarithmic axis, showing Real (inflation adjusted) Earnings performance over the long term. 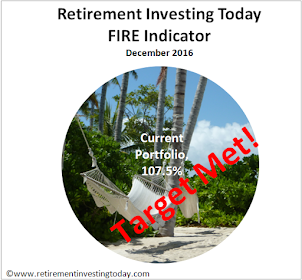 This only tells half of the Earnings story as it is an absolute number and so doesn’t help us with assessing market value. Let’s therefore divide the nominal Earnings by the nominal Price to calculate the Earnings Yield. Today that’s 8.2% compared with 7.5% on the 01 May 2013. It can be compared with history in the chart below. Dividends matter. 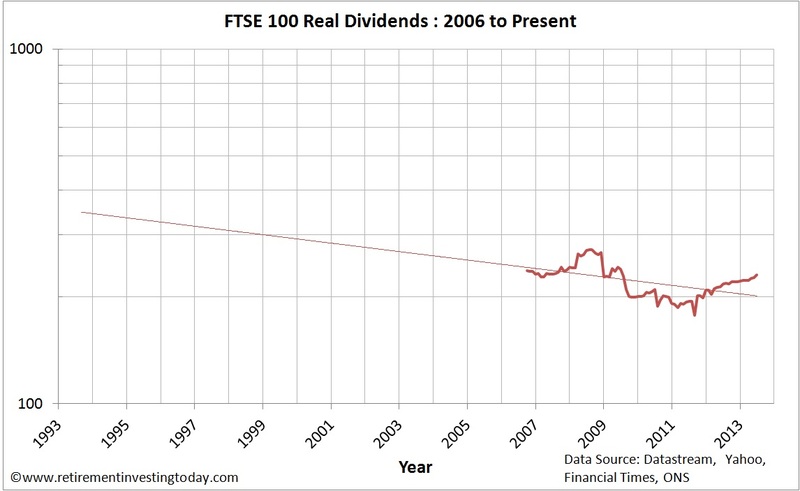 Today annual dividends for the FTSE 100 are 231 up from 226 on the 01 June 2013. 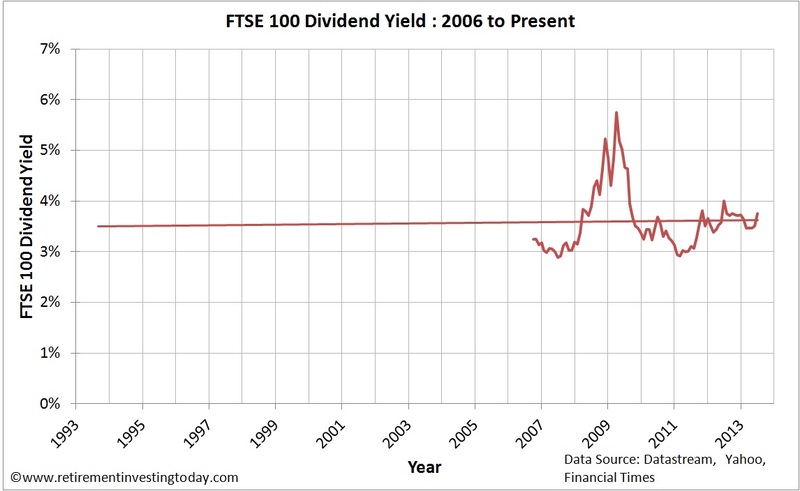 The Real inflation adjusted growth of FTSE 100 Dividends, which is what many long term buy and holders including myself are looking for, can be seen in the chart below. Unfortunately I only have dividend data from 2006 but with time that will grow and it’s better than nothing. If we divide Dividends by Price we get the Dividend Yield which is currently 3.8% and can be compared with history below. 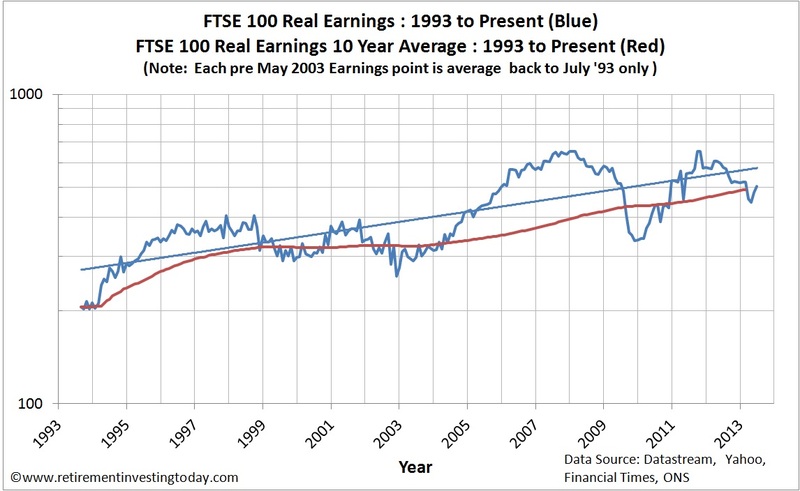 Many people use the FTSE 100 P/E as a valuation metric. 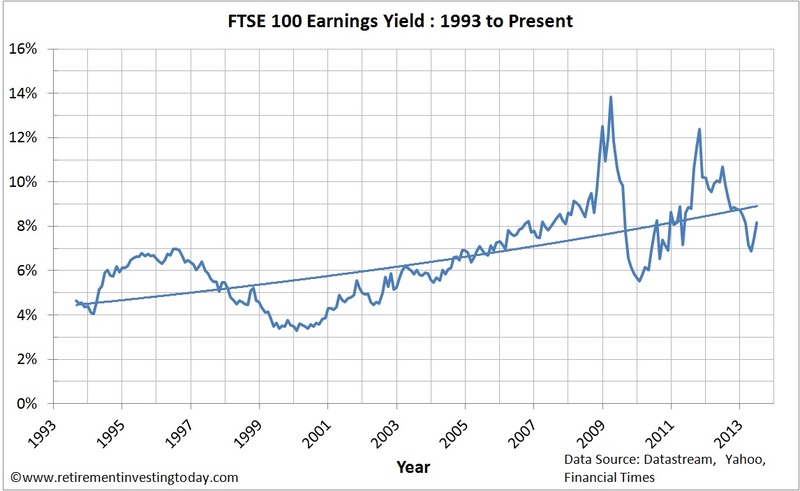 It’s actually nothing more than the inverse of the Earnings Yield shown above. Today it sits at 12.2 which is down on last month’s 13.4. Personally I prefer to use the FTSE 100 CAPE. 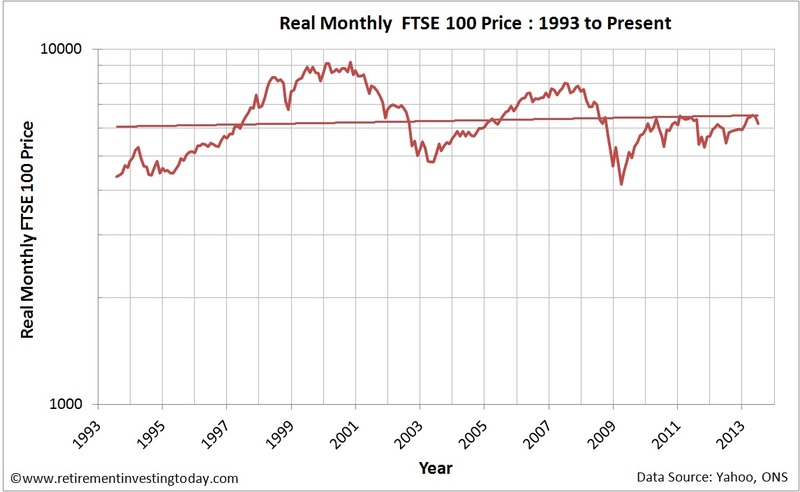 It was made famous by Professor Robert Shiller, who used it on the S&P 500, and it is the ratio of Real (ie after inflation) FTSE 100 Monthly Prices to 10 Year Real (ie after inflation) Average Earnings. Today the FTSE 100 CAPE is 12.4. It was 13.0 on the 01 May 2013. A chart showing historic CAPE to 5 Year Capital Gain is shown below. With the CAPE at 12.4 the trendline implies a person buying today could expect a future Nominal 5 Year Capital Gain of around 67%. 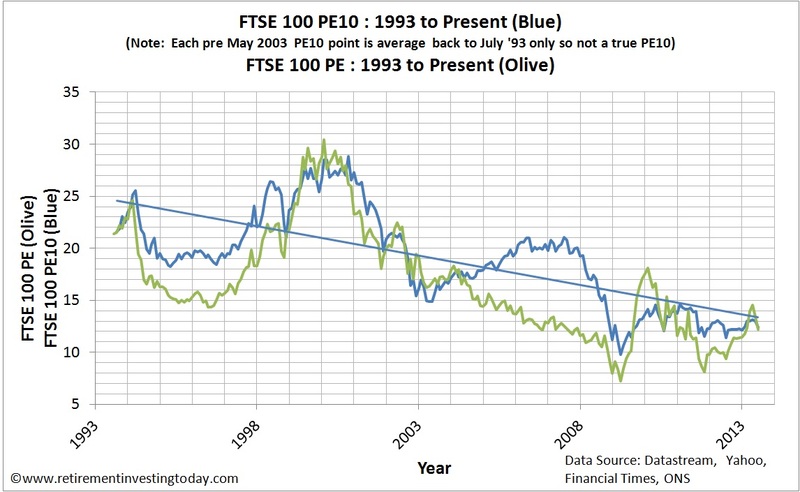 The correlation between the Nominal FTSE100 Price and the FTSE100 PE10 is 0.18. This is considered a weak or low correlation. 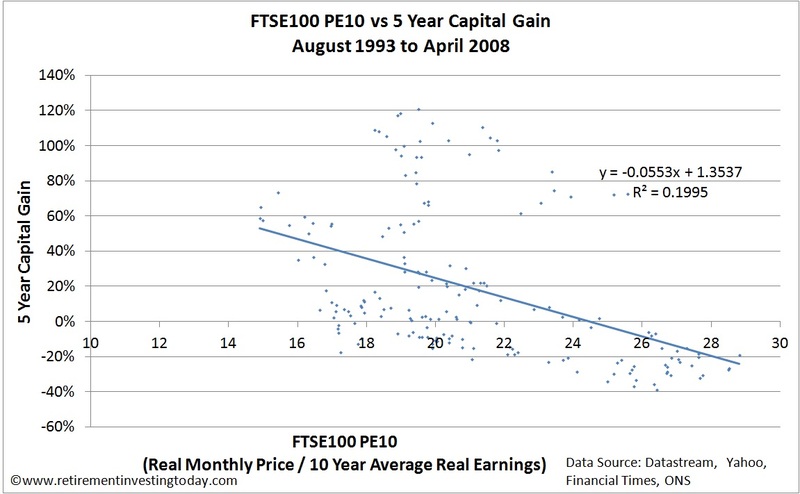 The correlation between the FTSE 100 Real Price and the FTSE 100 PE10 is a much more impressive 0.65. This is considered a moderate correlation bordering on a strong or high correlation. The Dataset 20th Percentile S&P 500 PE10 is 13.9. The Dataset 80th Percentile S&P 500 PE10 is 22.9. UK CPI inflation data for June 2013 is estimated. Good to see you still putting this stuff out there. CAPE is now pretty "mainstream" among active investors. We just need them to mention it on the 9 o'clock news rather than saying that the FTSE fell 0.3% today etc. I think you are being rather generous to the mainstream media there. Rarely will you find any emphasis on percentages. After all, who knows how that kind of non-sensationalist black magic (maths) works? These are atypical and temporary factors. You should perhaps look at gross revenues and profitability metrics if you can find the data.